Red Dead Redemption 2 Online has voice chat. That’s a pretty cruicial feature for any multiplayer game, as most people can’t be bothered to type. It’s simply easier that way. Sadly, sometimes people on the other end aren’t the nicest sort – they play loud music you don’t like, hurl verbal abuse and just generally make noise you don’t enjoy. It’s a good thing, then, that RDR2 Online allows you to filter out voice communication. This guide will show you how to mute players in Red Dead Redemption 2 Online. 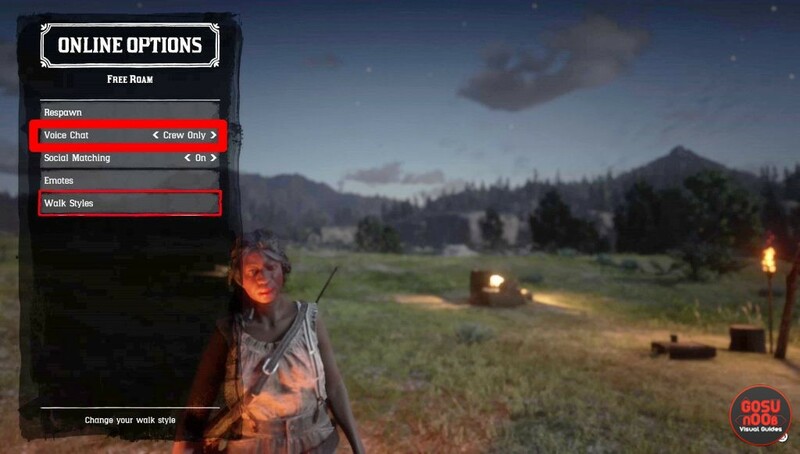 How to mute players in RDR2 Online? As far as we know, there’s no way to mute specific players. However, there are voice chat filters that will allow you to restrict the people you hear. If you want to access them, simply open the free roam menu (left on the D-pad), then scroll down all the way to “online options”. Open that up, and you’ll see the option to choose the range of your voice chat. At present, there are four options to choose from. The first is “everyone”, which allows each and every player in your instance to communicate with you via voice. The second is “friends only”, which restricts it to your Xbox/PS4 friends list. Then there are the options to only hear what members of your posse or crew say. These last two are the most useful if you want to play with strangers. Once you’ve closed the voice chat to all who aren’t allied with you, you can simply kick people out of the posse or crew if they end up making too much noise. It’s not a perfect solution, but it works. Hopefully Rockstar adds the option to mute specific players in a future update, so you can still enjoy yourself and talk to random people without worrying about screamers, Jason Derulo, someone’s mum vacuum cleaning their room and such.